Guess who's turning one? 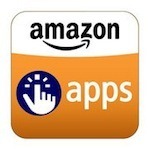 The Amazon Appstore! It seems like just yesterday that it was a freshly-hatched Appstore trying to find its place in a mobile-filled world. Over the past year, the Appstore has grown from just 3,800 initial apps to nearly ten-times that amount today (31,000). They grow up so fast! In celebration of this noteworthy occasion, mamma Amazon is having a small party of sorts - an app sale party, to be exact. Over the next four days seven days, ten 28 of the most popular apps will go on sale a few at a time, starting today with Plants vs. Zombies for $0.99. Tomorrow, two apps will go on sale; on the third day, three apps will be price-slashed, and so-on-so-forth. To grab PvZ on the cheap and see what else Amazon has up its sleeve, check out the Birthday Savings Page.